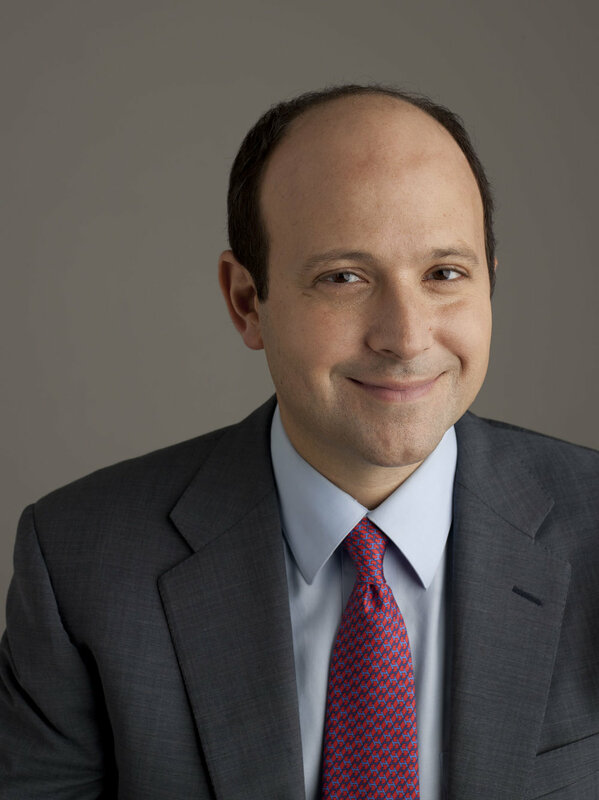 Matthew Hiltzik is the President & CEO of Hiltzik Strategies, a strategic communications and consulting firm representing influential companies , corporations, organizations, and individuals across various industries. Hiltzik Strategies is #11 on The New York Observer’s 50 most powerful PR firms in NY. Prior to founding Hiltzik Strategies in 2008, Matthew was head of corporate communications and government relations at Miramax Films. In 2005, Matthew launched and served as President and CEO of U.S. Operations of British PR firm Freud Communications. Matthew was also Press Secretary for the New York State Democratic Committee, and helped during Hillary Clinton’s 2000 United States Senate campaign as Director of Jewish Relations. Matthew is the executive producer of an upcoming film by Jose Antonio Vargas, “Documented.” He also executive produced the documentaries “Holyland Hardball” and “Paper Clips”, which inspired the development of “One Clip At a Time” (http://www.oneclipatatime.org/), a non-profit organization which Matthew co-founded. Matthew co-produced Tiffany Shlain’s 2011 Sundance documentary, “Connected" and is a member of BAFTA. Matthew serves on the board of The Big Apple Circus, The Jewish Week, The Jewish Community Relations Council of New York (JCRC-NY) and the Andi Foundation. He is also a vice chair of the United Jewish Appeal (UJA) Media and Entertainment Division.Matthew has a B.S. from Cornell University’s School of Industrial and Labor Relations and a J.D. from Fordham University School of Law and is a member of the New York State Bar Association. He lives in New York City with his wife Dana and their three children. 1) How did you get into the PR industry and why? By accident. After graduating law school and passing the bar, I received different offers to join various law firms, but found myself more satisfied working on a per project basis while exploring political consulting work with one of my close friends from college and his classmates at the Kennedy School. While we were considering launching a business, I was introduced to Dan Klores, one of the NYC PR legends, and his colleague John Marino, the former Chairman of the New York State Democratic Party. John and I kept in touch and discussed various political issues, and in January 1998, he called me to his office one day and asked me draft a press release of a possible Democratic response to a NYT education story about Gov George Pataki's proposed education policies. My media experience at that point was limited to two semesters at The Cornell Daily Sun's sports section and having a few letters-to-the-editor published in the NYT, The Sporting News, and The NY Observer. I had never written a press release before, so I found one online and used the structure to prepare something for John. It was decent enough that he sent me around the corner for an interview with Judith Hope, chairwoman of the NY State Democratic Committee, who was was looking for a press secretary. There were 13+ Democrats running for major statewide office that year and she needed someone without any ties to any of the candidates, so my timing was right and she was kind enough to give me a shot. Two years later, I left to become head of corporate communications at Miramax, which provided me with an entirely different level of pr experience and education under the tutelage of Bob and Harvey Weinstein. 2) How does your firm utilize social media and stay ahead of competitors? We are more focused on helping our clients figure out how they can best use social media to get ahead of their competitors. We’re constantly exploring new platforms and learning from others at the cutting edge of what's next to allow us to most effectively listen to our clients’ needs and help them decide where to dedicate their resources to best engage with their target audiences. We've experimented with tweeting statements and using other platforms to disseminate messaging on behalf of clients, but to varying degrees of success. 3) What is a great night out like to you? A great night is going to a baseball, hockey, football or basketball game with my four-and-a-half year old son and/or my two daughters (and if I’m really lucky, having my wife, brother, sister, parents and/or niece and nephew join us). I also really enjoy having dinner or just hanging out with my childhood friends from elementary school and summer camp when they come to the city from the suburbs or in from Israel. 4) What brands do you rep and what is the niftiest PR move you have implemented for them? We provide strategic counsel working with innovative, creative, influential, (sometimes) high profile individuals, executives and corporations in film, television, sports, music, tech, publishing, finance, politics and philanthropy to develop, advance and maintain their profile and narrative. Some of our best successes have been striking a balance between stories we help our clients share and those we make sure are never told. It would be inappropriate to share any of the latter, but there are few that might meet your "nifty" standard, including working with Jose Antonio Vargas on his media strategy when he bravely "came out" as an undocumented immigrant with a powerful essay in the NY Times Magazine and eventual Time Magazine cover. This was the beginning of an incredible ongoing journey, which will include the upcoming theatrical release of his documentary "Undocumented" on which I am honored to be an executive producer. It was very satisfying to see Heisman Trophy runner-up Manti Te’o be so well-received by the media at his press conference on the eve of the NFL's annual scouting combine last February. Manti was a great leader at Notre Dame, but his resilience in dealing with being a victim of such an elaborate hoax and realizing how he could have handled it better was a result of his strong values and convictions and connection with his community. We were proud to work with him and were grateful to ESPN for agreeing to allow his first public statement to be a rare on-the-record, off-camera interview with Jeremy Schaap (they had previously usually allowed on-record to be on-camera) which put Manti in the most comfortable situation to tell the truth about his story and show who he is. We are also pleased to assist former HarperCollins CEO Jane Friedman launch her new e-publishing/e-marketing company, Open Road Media, by creating media attention and awareness surrounding her savvy acquisition of eBook rights to raise the profile of the business and define its mission, strategy and capabilities. 5) What is your life motto/quote? “Man blames fate for other accidents, but feels personally responsible when he makes a hole in one” –Unknown. It was supposed to be my high school yearbook quote but my friend "borrowed" it for himself and I was assigned "the game is up" which I guess is somewhat relevant for this business, too. 6) What would you say are the top two personality traits someone needs to do a PR job well? Awareness of a situation - which includes an understanding of surroundings, priorities, facts, dynamics of relationships, and others' strengths and weaknesses. Other key traits include attention to detail, patience, creativity and versatility. 7) Who is your mentor and how do you stay so successful in the PR industry? Thankfully I’ve had many people who have taken an interest in my career over the years. My father, who is an agent primarily in radio, publishing and television, has been a great example of how to understand the clients’ priorities to help them define and achieve their goals, and my colleagues have made me better by sharing their own unique insights and perspectives. I was taught by my former bosses Judith Hope and the Weinsteins never to believe that something is impossible, and have seen friends and clients show that there are always new ways to connect with audiences. And Linda Hooper, longtime principal of the Whitwell (Tenn) Middle School, her colleagues, students and members of the community and everyone involved with the "Paper Clips" project may have provided the best example of how to tell a simple story in the most powerful way...one clip at a time.